 Don't you guys want to look extra pretty and be a BETTER YOU on days when something big is about to happen or when you are going to meet someone special? A few weeks from now, I'll be going to an important event so I want to improve myself physically. That's why I am so glad to have received this love package from Skin White today! SkinWhite, the leading and pioneer skin whitening brand in the Philippines, aims to give young Filipinas the tools they need to improve who they are -- both inside and out. They've also launched a four-month campaign called #BetterMe, to help inspire and empower teens. My skin is natural Morena. Though, I am proud and happy with my skin color, there are days when having lighter skin tone won't hurt. So when the big day comes, I'll be confident because I know that a better me has just been revealed! 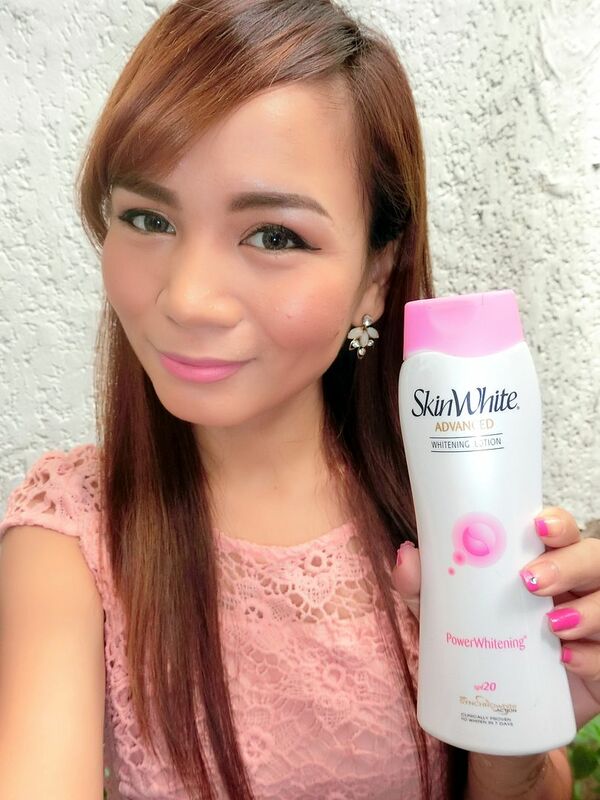 SkinWhite is one of the known brands in the Philippines that effectively lightens skin. And don't you guys love how it's in Pink? Anything that is in Pink always wins my heart! In the photo, you can see some of the stuff I need for that event. I have included the essentials : money, bikini, sunglasses, camera phone and our itinerary! One of the things on our to-do list is to take selfies! I dislike it when I have to use a lot of filters to edit my photo. 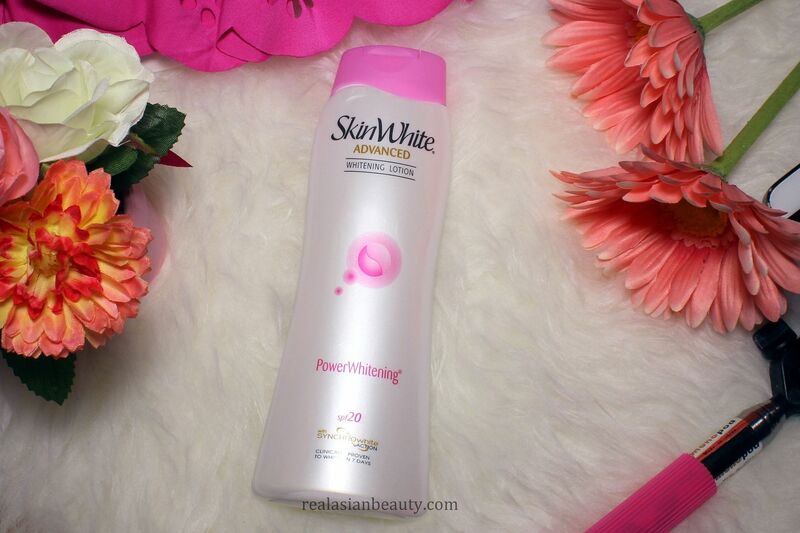 That's why I will be using the SkinWhite Power Whitening Lotion to help my skin become brighter and radiant! I want to be able to confidently wear my hot pink bikini and take unedited and unfiltered selfies on that day! To help me achieve that, I'm using this SkinWhite lotion that uses an Advanced Tripower Technology to whiten my skin instantly and continuously help reveal my whitest, better skin! Because we'll go swimming, I also need SPF to protect my skin! Good thing, this lotion has SPF20 to protect me from harmful UV rays and further skin darkening! Nothing but fun and unlimited selfie taking! 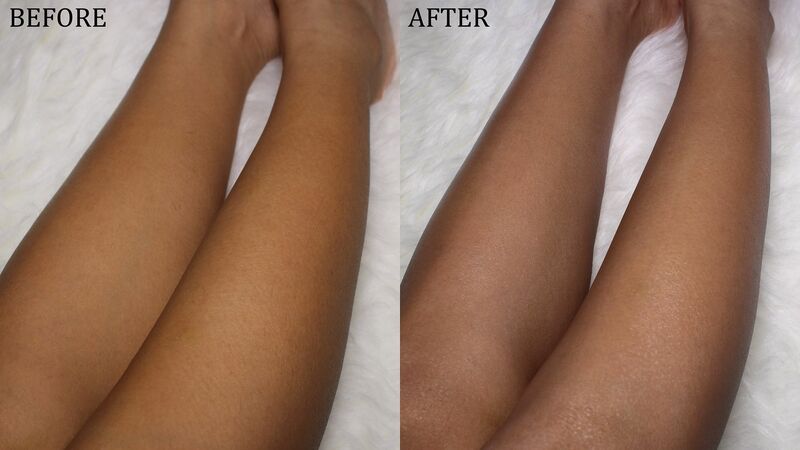 Here's a sample photo showing my legs Before and After using the product. The left photo is my legs without the product, while the right photo is after I applied the SkinWhite lotion. I noticed that it does instantly whiten the skin and leaves it smooth and moisturized. Don't you guys love instant effects like that? Though you should be careful in applying this as it does have the tendency to be flaky or to form white spots on the skin when not applied evenly. I am one of the believers of the saying "Washing your face with ordinary soap and water isn't enough." Because I have oily skin, dirt and dust get absorbed by my face easily. Because of that, I always need a cleanser that will remove any excess oil, dirt and dust off my skin. I also need a cleanser that will help me get rid of makeup residue. This cleanser has Hazel Extract that helps banish acne and helps prevent dryness with it's Vitanourish Formula. After a long day, I need to freshen up and stay clean. 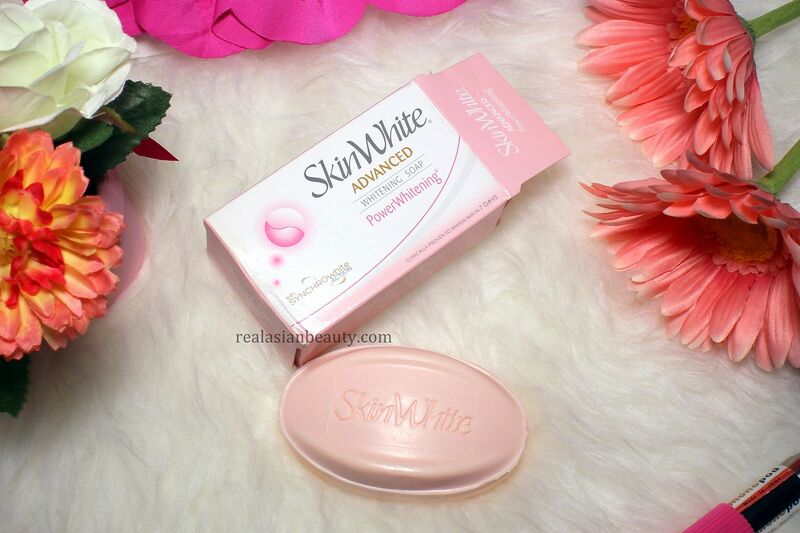 SkinWhite Whitening Soap is mild and smells so good! The perfect product to end a long yet fun day! This bar soap suppresses melanin production and prevents release of melanin to the uppermost layer of the skin thus preventing darkening. It is also infused with Vitamins A, B3, C and E for intense moisture. So now I am ready for my "big day" with whiter and smoother skin! Definitely a better version of myself!